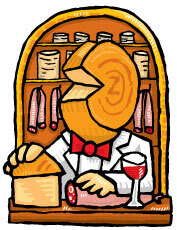 Meat and Cheese Club for sale. Buy online at Zingerman's Mail Order. Gourmet Gifts. Food Gifts. Meat or cheese alone is a snack. Meat and cheese together is a party. We’ll pull from our cheese cave and our cured meat larder to put together a series of pairings from across the country and around the world that are sure to tickle the tastebuds.